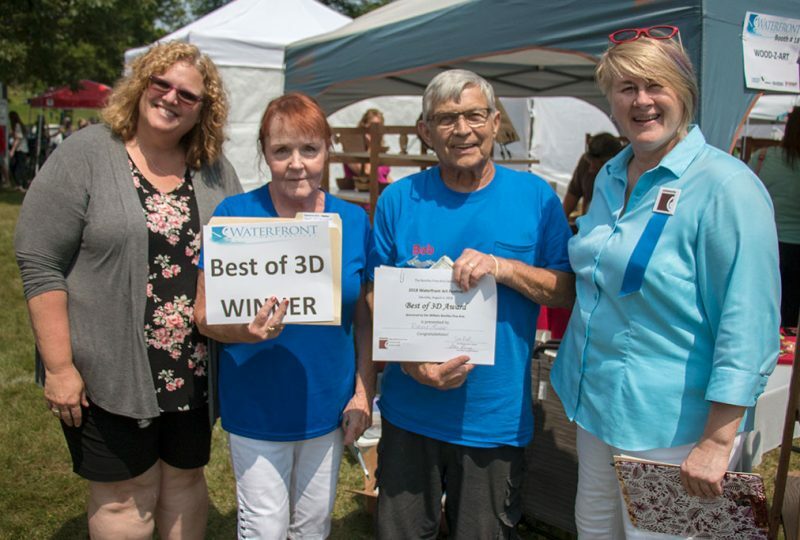 ESCANABA — Among the artists at the Waterfront Arts Festival in Escanaba Saturday, judges choose the best in various categories. 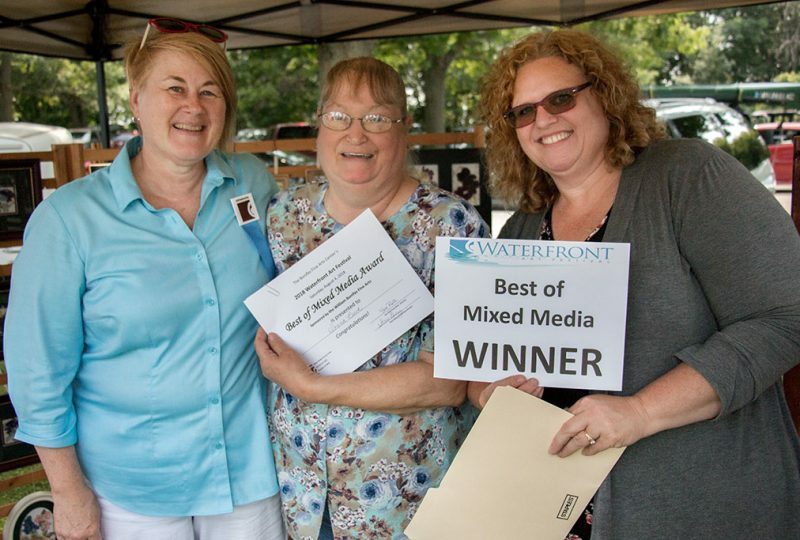 They were recognized at their booths during the event. Kim Buell of Wetmore won Best of Show and Best of Jewelry at the Waterfront Arts Festival Saturday in Escanaba. She describes herself as a gather. She uses items she collects from beaches to make jewelry. “It amazes me how they understand how unique it is and that’s the part that feels so goo. They have never seen anything like it and yet they are accepting of it and they like the display. I have rocks and driftwood out for my display because that is where I get my inspiration,” Buell said. She says it’s good to know that people appreciate her work. Bob Liss of Escanaba won Best of 3D Art. This was his second time at the Festival. “I love doing segmented wood, bowls and vases. The more pieces the better it is. You let the wood tell you what to do as you’re turning it or as you’re processing it. It kind of dictates what you’re going to end up with,” Liss said. 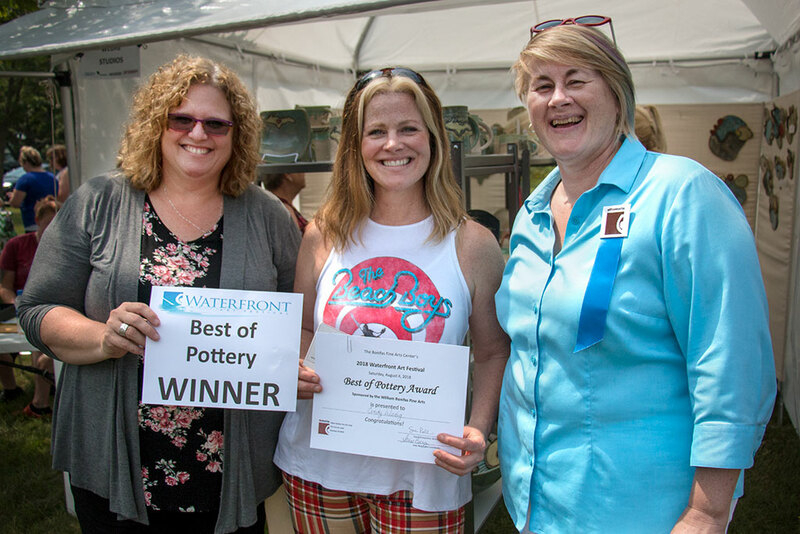 Best Pottery went to Cindy Wedig of Gwinn. She said the reaction from festival-goers was good. Lisa Kangas of Escanaba was named Best in Painting and Drawing. “My artwork is very colorful, a lot of teal, a lot of lakes and water. Everybody has a lot of wows!” said Kangas. Best of Photography went to Shelley Densmore of Munising. She photographs Pictured Rocks National Lakeshore near her home. “I was a big kayaker and hiker for years and years. 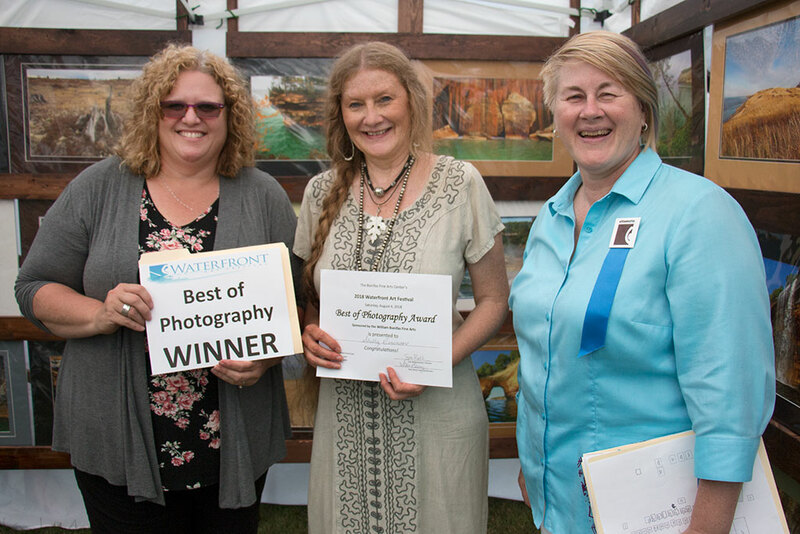 I started photography to capture the fambulous scenes that are out there,” Densmore said. 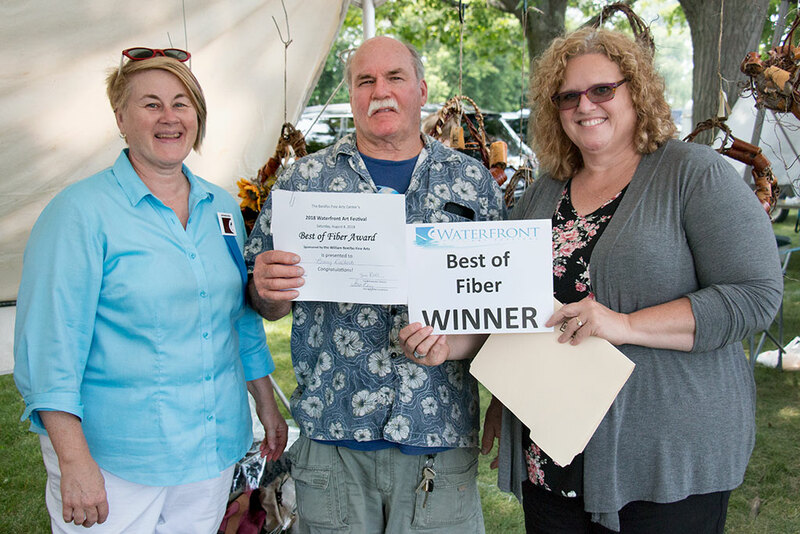 Barry Dalberto of Stanley, Wisconsin for Best of Fiber for his wooden baskets. “They like that they are unique enough, that no one else seems to be using the curly birch bark that I have to gather,” he said about the reaction to the baskets. Best Mixed Media went to Donna Beck of Ishpeming who presses and frames flowers. “I like that people can enjoy them for longer than the few days that they last on the branches. It’s nice to see the joy it brings to people,” Beck said. 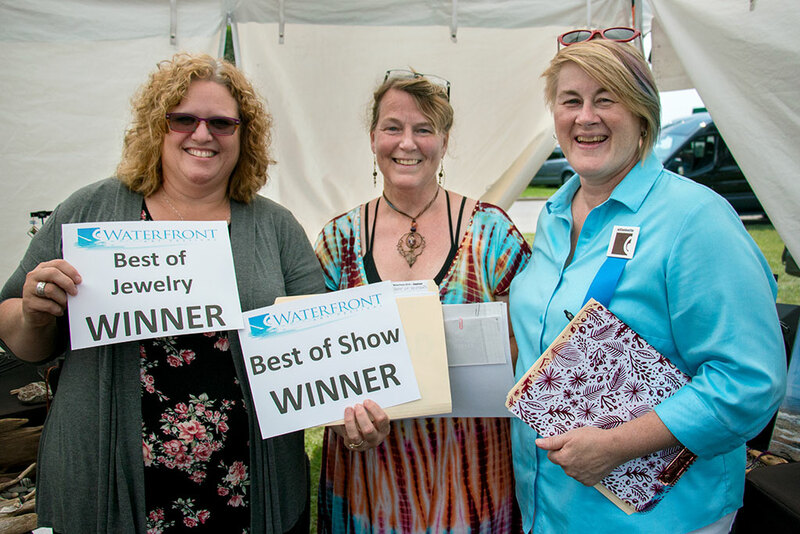 She said the art show was amazing and has enjoyed the many years that she has been able to be a part of the festival. 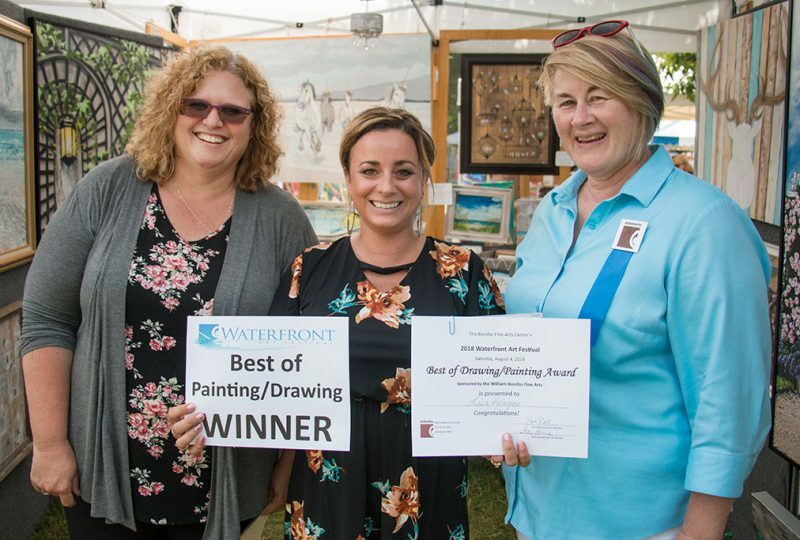 Share the post "Waterfront Arts Festival award winners talk about their art"
Categories: Arts, Delta County, and Featured.